An existing advertisement designated as WASMO Recruitment has been issued by the Water and Sanitation Management Organization to inform the most qualified and effective competitions for 25 vacancies of the District Coordinator. Eligible participants can apply for WASMO vacancy by filling the offline application form before the deadline of 30 October 2018. Essential Qualification: Those candidates have minimum qualification because the candidates who are willing to apply for WASMO jobs should apply BE (Civil) / MSW / Master Degree (Rural Studies) from any recognized institution. The candidate should not exceed 40 years of age. Salary details: For the District Coordinator, the candidates selected for salary wage band 35,000 / -. To open the official site of the organization at http://www.wasmo.org, you must first open all the applications. Last date for acceptance of applications: 30-10-2018. Click WASMO Recruitment Notification Here 1. 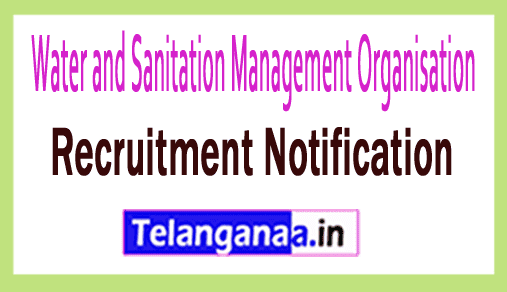 Water and Sanitation Management Organisation is looking for job seekers with hard work and results designed to fill 42 Assistant Manager vacancies. Recently, the Water and Sanitation Management Organization has published a vacancy notice called WASMO Recruitment. In order to complete this recruitment process, jobseekers who consider themselves eligible may visit a walk-in interview on June 28, 2018 and June 29, 2018, at each location. Qualification required: Jobseekers must have B.E. exams (Civil) / B.Tech (Civil) or equivalent exams from a recognized board / institute. Applicants wishing to apply for the above publication should not exceed 35 years. Salary of employees: Applicants who are appointed against this recruitment receive a consolidated salary of Rs. 17,000 / - the recruitment organization. The Water and Sanitation Management Organization will conduct an interview to select candidates for the above publications. Jobseekers wishing to apply for WASMO jobs should visit the official website http://www.wasmo.org. Date of entry: 28.06.2018 and 29.06.2018.